The Dragon in the early AM, with stops to shop for memorabilia and things. We reverse course through the Dragon, and run the Hellbender (not the salamander) towards Stecoah. 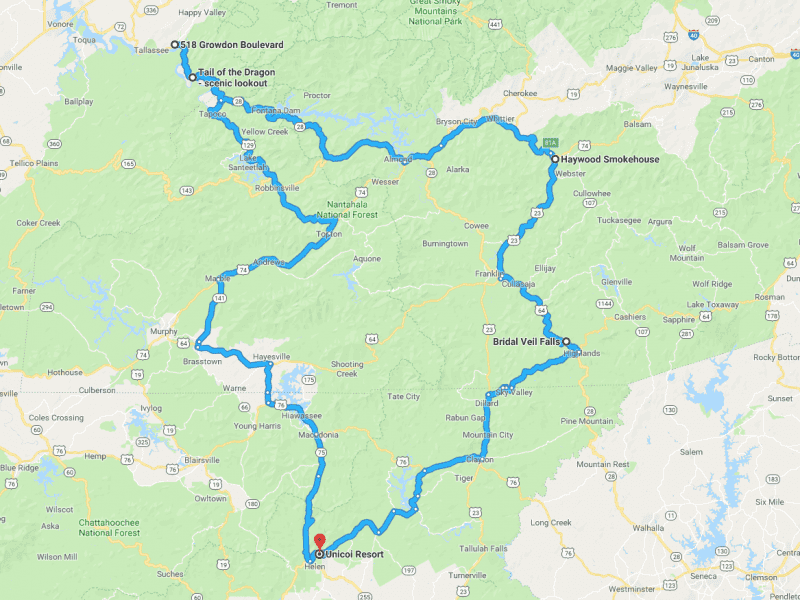 Following another break, we head for a midday-ish meal in Dillsboro NC (a previous QDM HQ), and then a more relaxing egress back to the Unicoi Lodge.